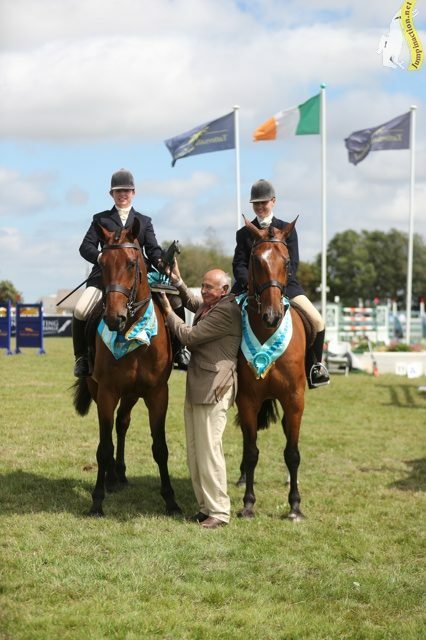 Tattersalls Ireland July Show in association with the Rolestown Show and Ward Union Hunt attracted huge crowds and proved a resounding success. The show is run in aid of the local charity St Francis Hospice and visitors dug deep into their pockets to ensure this worthy cause benefits. Dermot Lennon was in the form of his life, taking the two Grand Prix’s on offer over the weekend. On Saturday, riding MJM (IOM) Holdings Limited MJM Pursuit, Lennon jumped a double clear and the fastest time of 36.41 to take the Friends of Rolestown National Grand Prix as part of the SJI Grand Prix League. On Sunday, Lennon returned to the main arena, this time riding Victoria Loane’s Gelvins Touch and produced a top-class performance and a winning time of 43.19 to take the TRM/New Heights Champion Series 1.50m Grand Prix with a prize fund of €10,000. On the showing field, it was Paulette Cooper’s Dartans Block Buster, winner of the Middleweight Hunter that claimed top honours in the main arena winning the Lynskey Engineering Champion Hunter of the Show. Reserve Hunter Champion was Whitfield Jack Of Hearts owned by Cheryl Cusack. Over eighty competitors aimed to gain their qualifying place in the Dubarry Burghley Young Event Horse Series. Winner of the four-year-old qualifier was Nicky Roncoroni’s Sixmilewater and winner of the five-year-old qualifier was John Bannon’s All In.